What is a classical wedding? Everyone has a different idea to what is classical but for most of us it will mean a classic white wedding with traditional elements. You may think that a big white wedding will be expensive and to be honest, yes it can be. The biggest expense will be if you have a large number of guests and want a lot of bridesmaids and groomsmen. Instead of having a big white wedding, why not go for an intimate white wedding. If you want classical then the look of your wedding will be the main focus. And the easiest way to get that is to find yourself a traditional and pretty venue. Are there any local public parks that you can use for your wedding? You could then have a traditional white wedding in a beautiful location, followed by an afternoon tea. Do you know anyone that has a beautiful home that you could use for your wedding? Or is there a gorgeous villa available as a holiday rental that you could hire for a week or the weekend of your wedding. 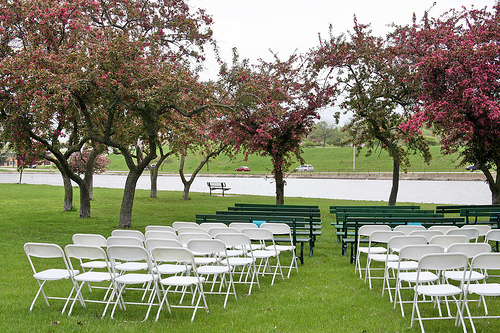 Their grounds could be perfect for your ceremony. If you are having a classical wedding I am guessing you will want a classic white dress. To save money definitely look at buying your dress secondhand or once worn! This could be through a private ad on eBay, craigslist or your local paper, or alternatively have a look for a local vintage wedding fair or show. There are bargains to be had! Take a look at lots of inexpensive wedding dresses to give you some idea of what you can get for your budget. Flowers are classic whatever you choose, keep them simple will save you money and even just sticking with one flower type will mean that you can buy your flowers in bulk. 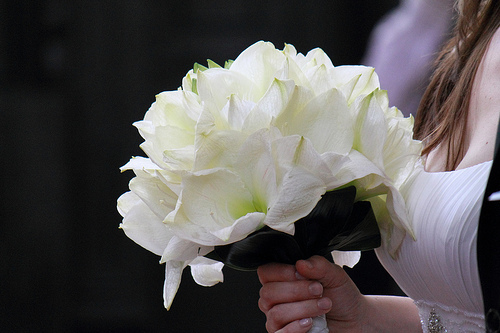 A simple hand tied bouquet of white flowers looks stunning and then maybe a vase of the same flowers on each table. Simple but beautiful. A traditional wedding would have live music - maybe a string quartet, a jazz band or a harpist. You may find that the cost of a band is not as expensive as you think, definitely worth making some inquiries and try and avoid the musicians that market themselves as a wedding band - they will be more expensive and not necessarily as good. Instead ask friends and family if they know anyone that would like to play. Are there any colleges in your town that run music courses? I am not saying you need to learn an instrument before your big day but they may have students that would like to earn some extra cash doing something that they love. Great experience for them and saves you money too! Of course you could also download classical music to play on the day.